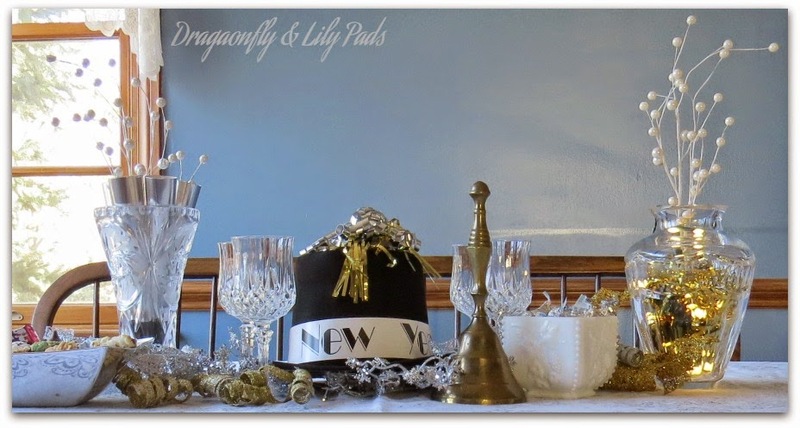 Dragonfly & Lily Pads: Ringing in the New Year! & Kisses are ready for a Happy New 2015! I wish a wonderful safe and Happy New Year Celebration. After purchasing a New Years Eve noisemakers, and a top hat at +Walmart for about Five bucks. I also hit +Jo-Ann Fabric and Craft Stores Clearance sale for Christmas purchasing silver and gold trinkets to add to the table. The other items were things I already owned. 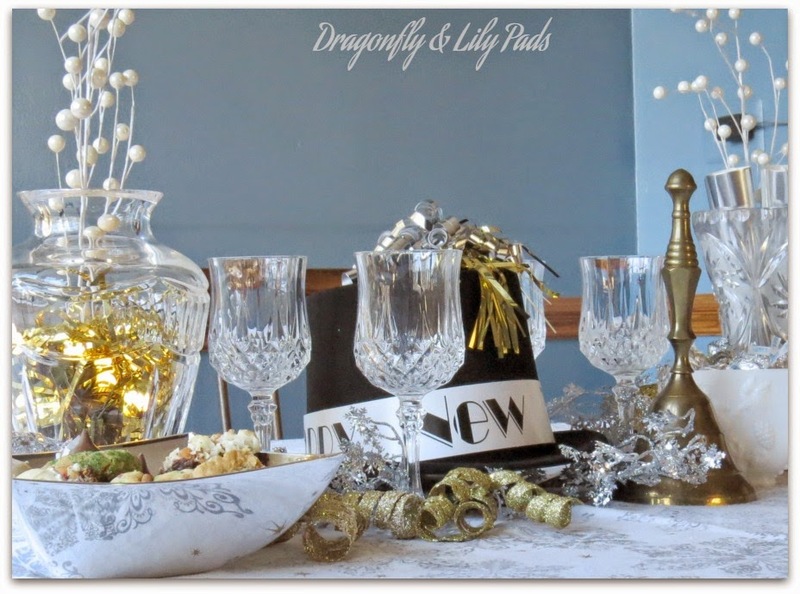 Table cloth with snow flakes of silver and gold start the base of the table scape. 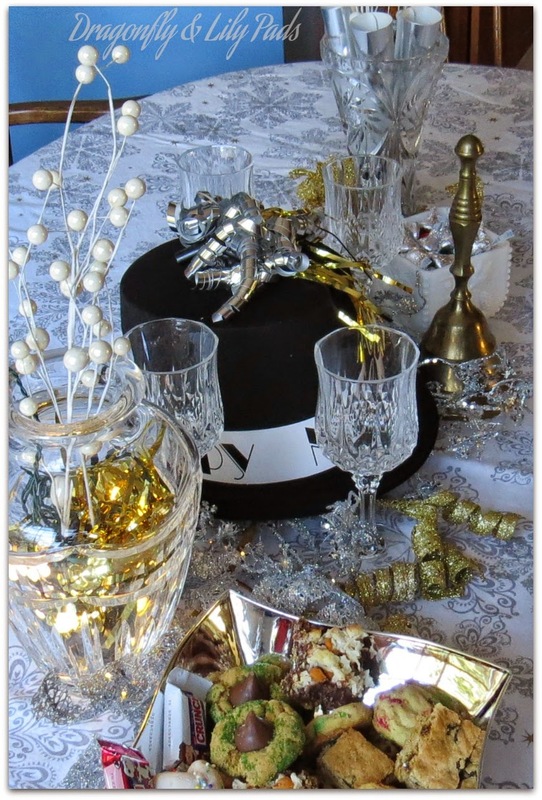 Did you notice the Silver Kisses in the Milk Glass dish(It reminds me of my Moms collection)? The Brass Bell is from my Grandmother, the crystal glasses are a wedding gift. I added pearl lights to the gold noise makers in the Waterford crystal vase from our honeymoon to create a little sparkle. In the background you can see the silver noise makers held for our guests in another crystal vase. 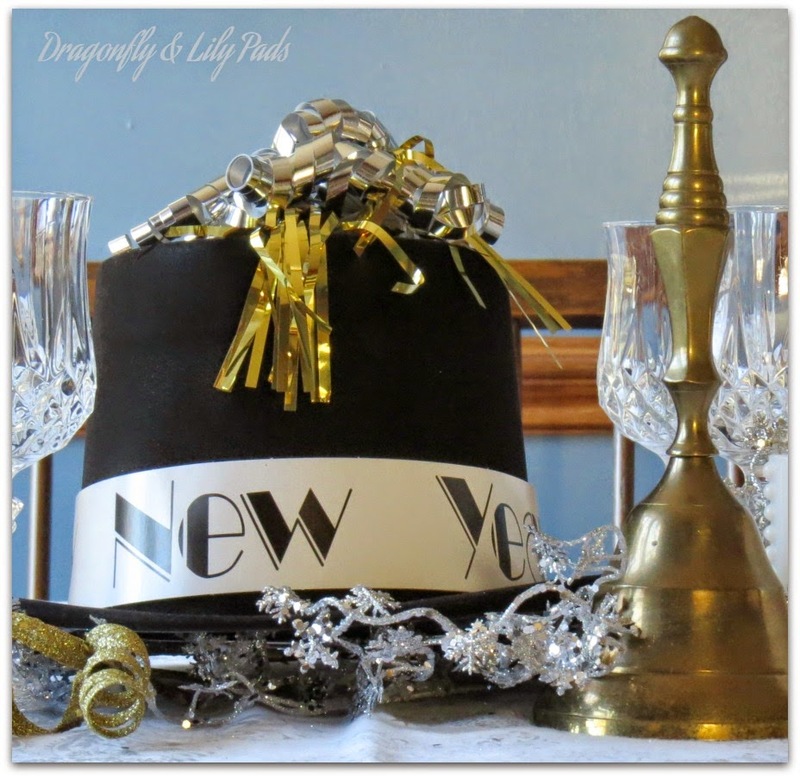 I am happy with the rather classic look of the silver and gold tussled about the center of the table. 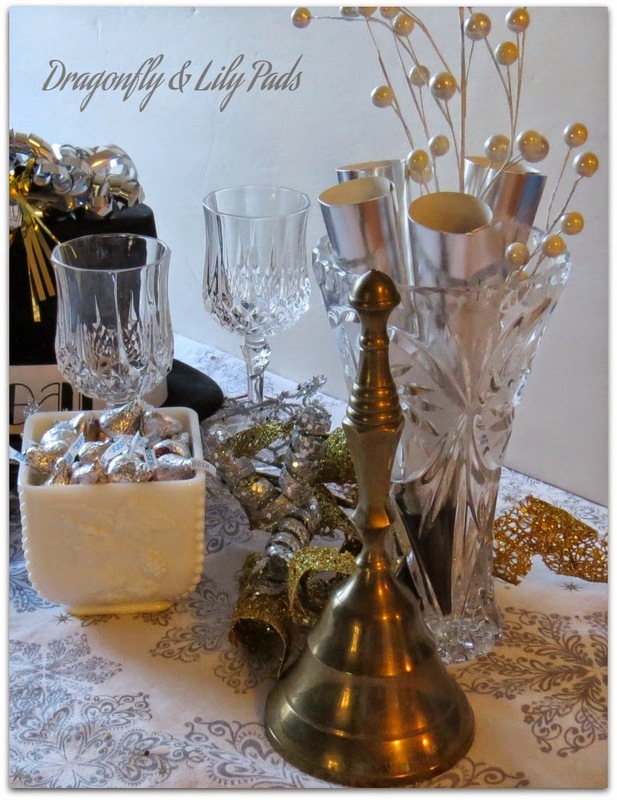 The white baubles in each vase reminded me of bubbles floating above the vases and frames my table setting nicely. This picture show you everything for my small party ready to enjoy. 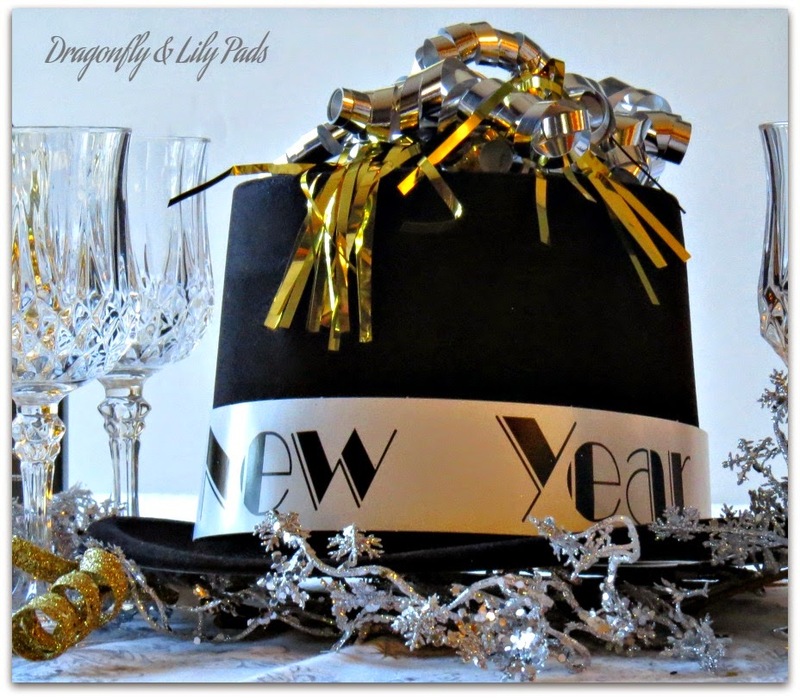 May your year be filled with all you dream of in 2015!